His Canadian pipeline moguls are actually both from Houston, Texas: Williams Company with its Washington Expansion Project (WEP) getting its fracked methane from Spectra Energy’s Westcoast Pipeline. 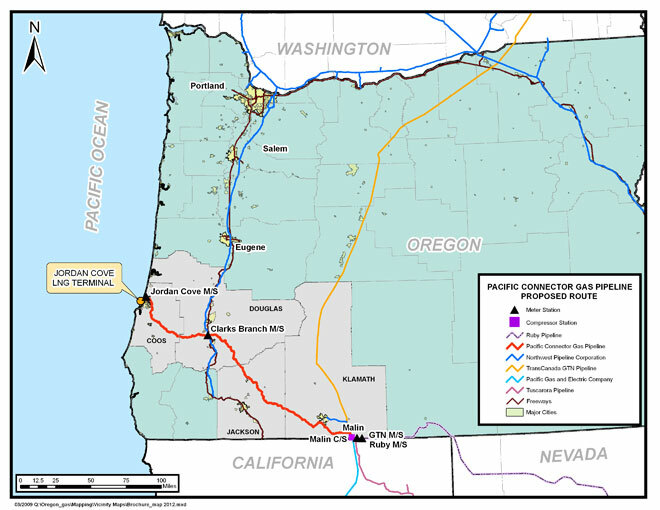 Oh, this is another Williams pipeline: Pacific Connector, going to the same Jordan Cover LNG export terminal as WEP. The same Williams Company of Transco’s Hillabee Expansion Project to feed Spectra Energy’s Sabal Trail pipeline. The same Sabal Trail that’s suing a Georgia Centennial Family Farm tomorrow in Moultrie, Georgia. All the pipeline companies seem to follow the same script, including Kinder Morgan for its Palmetto Pipeline. And this Oregonian answered for all of us facing pipeline invaders.